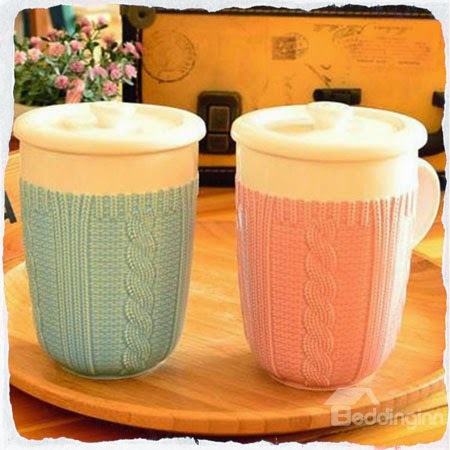 FASHIONIZEIN | by Theano Lazaridou: Custom Cups 2014 at Beddinginn! 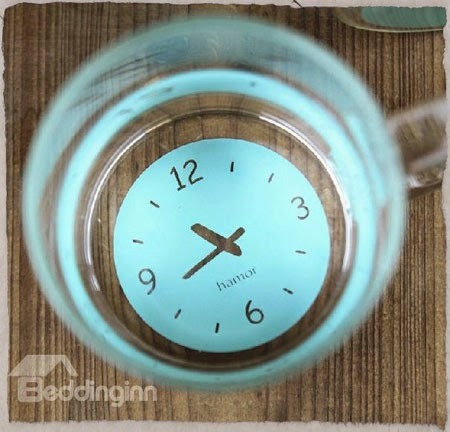 So you can easily imagine that when beddinginn.com asked me to write a post for their cup collection I was beside myself with joy! The cups available at this site are grouped in categories. 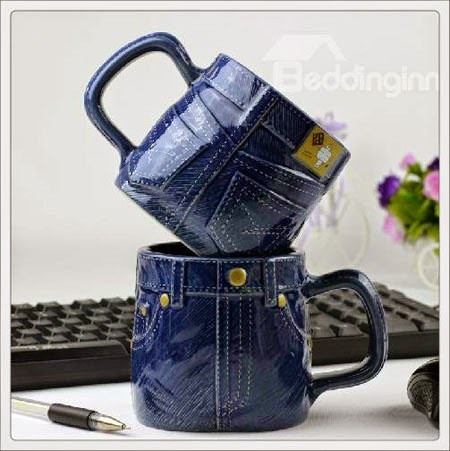 One category is cappuccino cups, where someone can find ceramic cups in various designs. 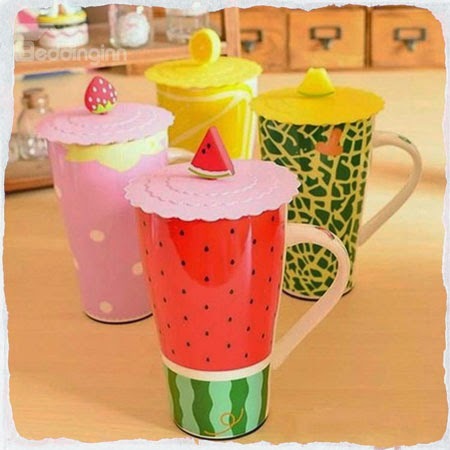 Special handles, imaginative decoration and cute lids can certainly add to your coffee drinking experience. A second category is cups and saucers. 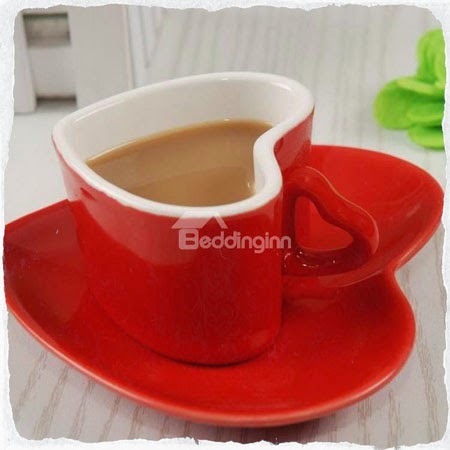 Here can someone find cups with pretty, romantic or classic drawings on them paired with their respective saucer. 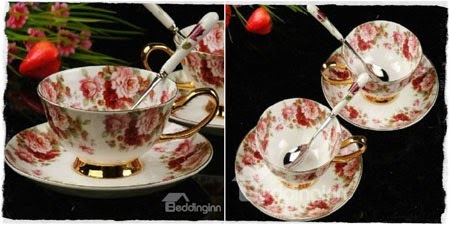 Another category is glass tea cups. 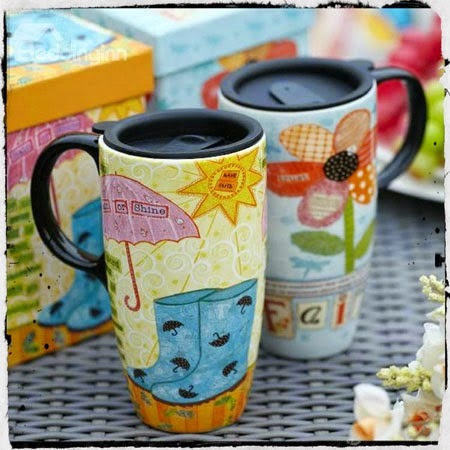 If you are a tea enthusiast and you’d rather relish your tea in a glass cup then here you can find some of the cutest designs. Personally, I liked lots of cups from all three categories (it was quite hard to choose to be honest) and I’ll show you my favorites! Let’s go have a look, shall we? 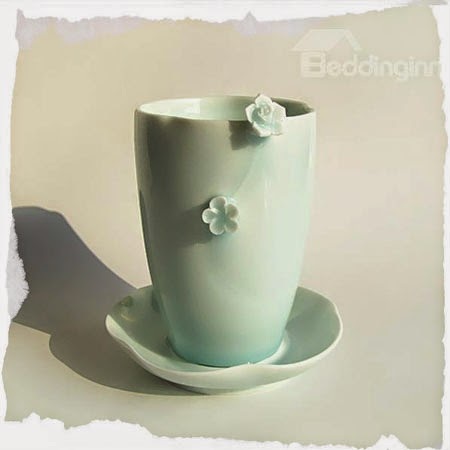 You can see the whole Beddinginn's cup collection here. Έτσι λοιπόν, εύκολα φαντάζεστε πως όταν μου ζήτησαν από το beddinginn.com να γράψω ένα post για τη συλλογή από κούπες που διαθέτουν..πέταξα από τη χαρά μου..
Οι κούπες που διαθέτουν είναι χωρισμένες σε διάφορες κατηγορίες. Πρώτη κατηγορία αποτελούν οι cappuccino cups. Εδώ μπορεί να βρει κάποιος κεραμικές κούπες σε πανέμορφα σχέδια. Ιδιαίτερα χερούλια, ευφάνταστη διακόσμηση και χαριτωμένα καπάκια θα δώσουν σίγουρα στην απόλαυση του καφέ μια χαρούμενη πινελιά. 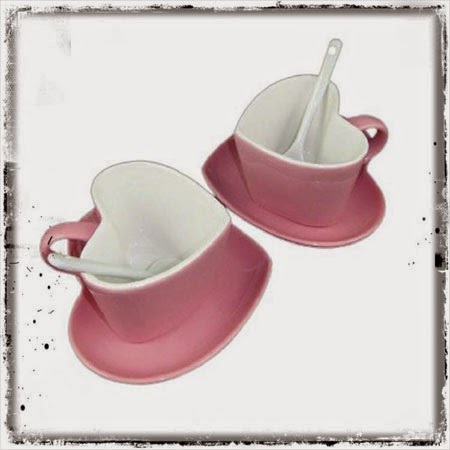 Οι cups and saucers αποτελούν μια δεύτερη κατηγορία. Εδώ μπορεί να βρει κάποιος κούπες με όμορφα, ρομαντικά ή κλασσικά σχέδια, οι οποίες όμως συνοδεύονται με το αντίστοιχο τους σε σχέδιο πιατάκι. Μια ακόμη κατηγορία αποτελούν οι glass tea cups. Αν είστε περισσότερο tea person και προτιμάτε να απολαμβάνετε το τσάι σας σε γυάλινο ποτήρι τότε εδώ μπορείτε να βρείτε μερικά από τα πιο χαριτωμένα σχέδια που υπάρχουν σε κούπες αυτής της κατηγορίας. Μπορείς να δεις ολόκληρη τη συλλογή από κούπες του Beddinginn εδώ. So, what do you think? Which cup did you like most? thank you sweetie! you are right these two designs are so unique and pretty! 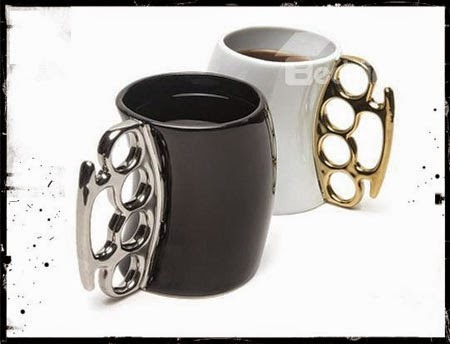 OMG this is so cool :) I just loved the fist rings mug! Cold is coming here to. 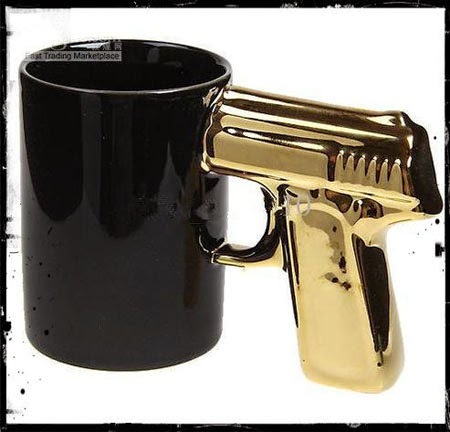 Love the gun handle cup. Some of those are so funny! 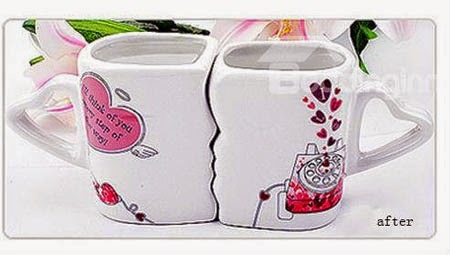 Sooooo creative and lovely, great mugs!!! Here is of what to warm itself with the humor ! wonderful post! my favorite is the one with gun handle! Wow! 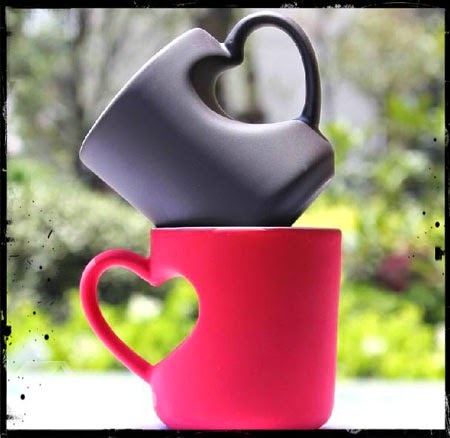 There are so beautiful, I am a tea lover and adore cups! 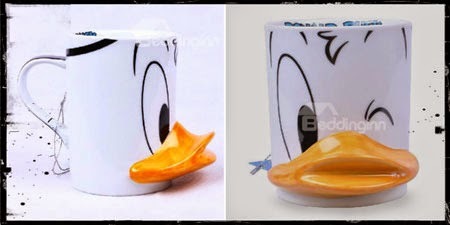 Hahaha, amazing and original mugs and tea cups! 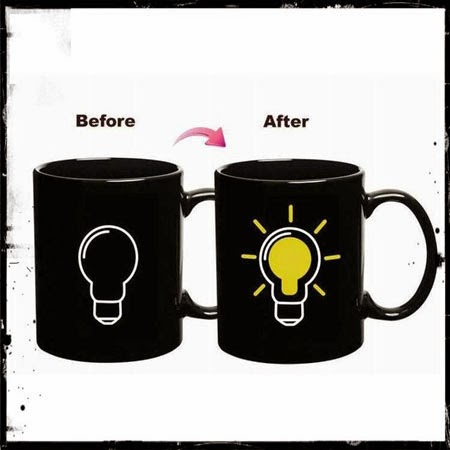 My favorite is the one with the light bulb, a mug after my heart, I feel like that in the morning too before my first cup of coffee, and then the light goes on :-D. Great post! Hello, I've loved these products. 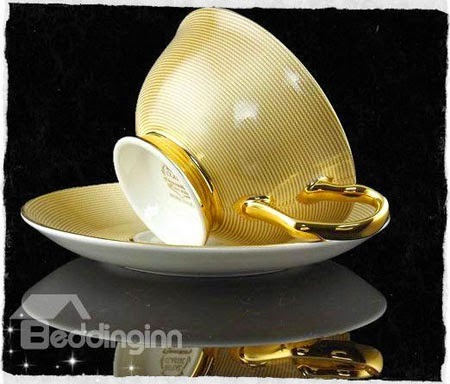 Oooh I love the gold bone china coffee mug! I'm loving gold at the moment, and this is so elegant! Oh my! I love them all, they are all so cute. If you like to follow each other, let me know. poso panemorfes oles <3 eidika autes me tis kardoules oi prwtes!polu prwtotupes! Theano these cups are perfect, just perfect! I'm in love with them! Going right now to check out the site because I 'need' to get some of them for my tea and hot chocolate! Thank you so much lovely :)) ♥ I'm following you back! Those cups are so cute! Όλες είναι πανέμορφες! Λίγο περισσότερο νομίζω πως μου αρέσουν οι χριστουγεννιάτικες! φιλιά! Thanks for visiting my blog & I'm following you now! So cute cups doll!! I love all of them! Προσωπικά είμαι παιδί των λουλουδιών!!!!! Ειδικά η τιρκουάζ με τα δύο λουλουδάκια με ξετρέλανε!!!!! Πολύ όμορφο, χαρούμενο και φιλόξενο το μπλογκοσπιτάκι σου!!!! Oh wow what gorgeous mugs! I love them! 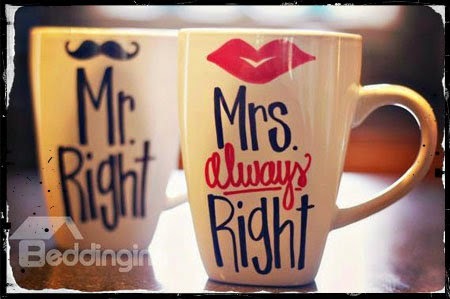 i love that cups!!! kisses!! 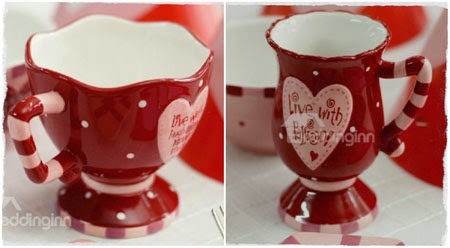 I love custom cups, Great gift idea! These are so cute! They are a really cute DIY idea for cheap holiday gifts as well! 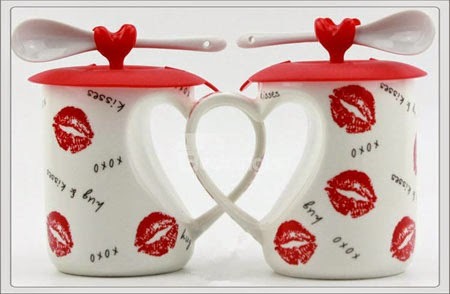 what cute mugs, we love them!! Sorry, I didn't realize you was following me. I've now followed you. Great selection of cups, dear! Would you like to follow each other, dear? lovely selection! the gold one is my favorite! I have the Mr. Wonderful ones, you should check them! Thanks for your comment on my blog - i follow you back on gfc! Hello! Do you want to win a warm coat? If yes, just join my new giveaway. pls join my oasap giveaway win coat! love them all , they look so cute! Oh wow these are so adorable, I want them all. Τι όμορφες κούπες! Πολύ ευφάνταστα σχέδια όλα! These are so adorable. I love the second pair! 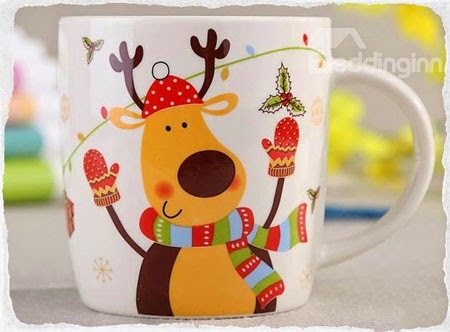 Fantasticly cute cups:) Thank you for the post!! waa that is so cool! Those mugs are so cute! We have soft spot for pretty china. This is wonderful selection. Awwww so cute! Great post! Thank you for visiting my blog and following me. Now I am your follower 499 Wow! 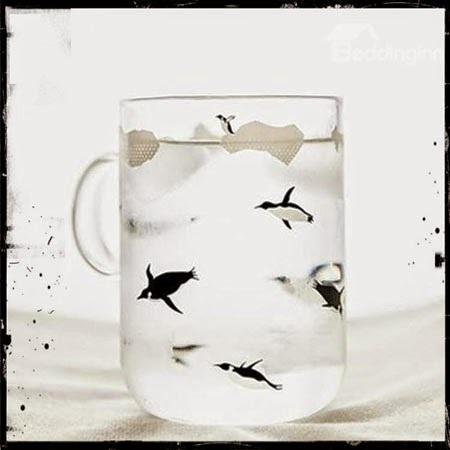 Cool cups! Love the first pair! Great post! 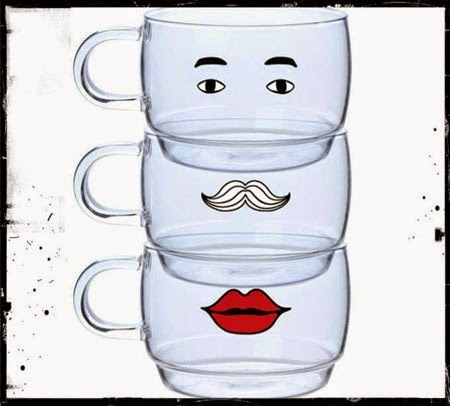 love this mugs! 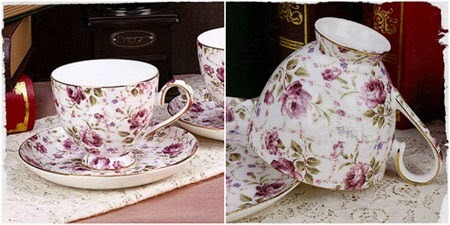 I love pretty teacups and saucers. 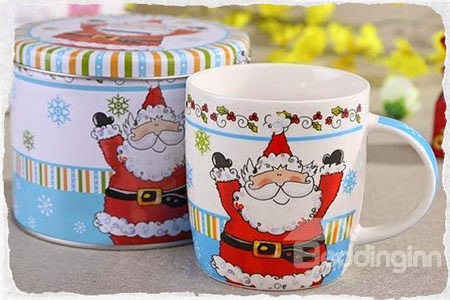 These mugs are soooo cute, I don't even know which one I like best!?? 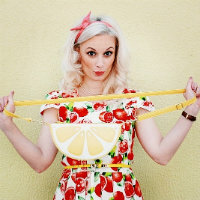 You have a great blog here and I love your polka dot background, so cute. Thanks for your lovely comment doll!! I'm following you back! You have a very nice blog and I will be happy if we follow each other, just let me know in my blog and I follow back! την κουπα με την καρδια την λατρεψα! σ ευχαριστω για το comment σου! Eιμαι κ εγω απο την Ελλαδα , σε εχω κανει follow! 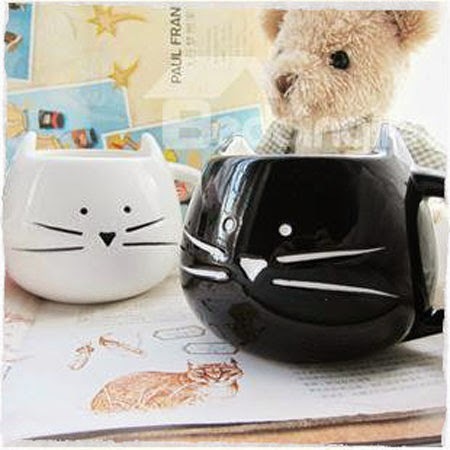 cute mugs , they are really adorable. wow these mugs are all so cool!!! Thanks so much for your sweet comment on my blog!! I am now following you too! #526!! Btw, what do you think about following each other? I'll stay here with a huge pleasure! 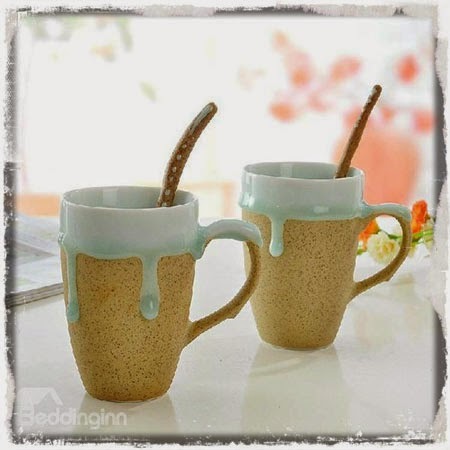 the cutest mugs I've ever seen! 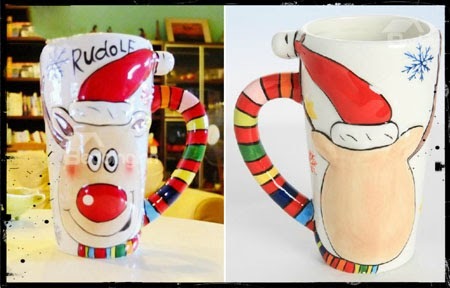 What a Nice Gift idia, it may BE lESS Expensive, But the Effort and Love attached to the Process of Printing those mugs are Definitely Priceless.Not to Mention that Those are Really cute..
Great Blog ! Thank you for the information. I could have never thought of this idea myself. This is the best.